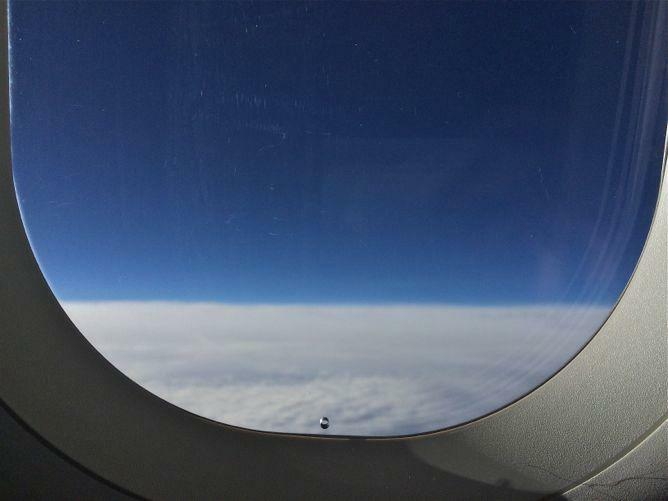 What’s That Thing: Why are there holes in airplane windows? 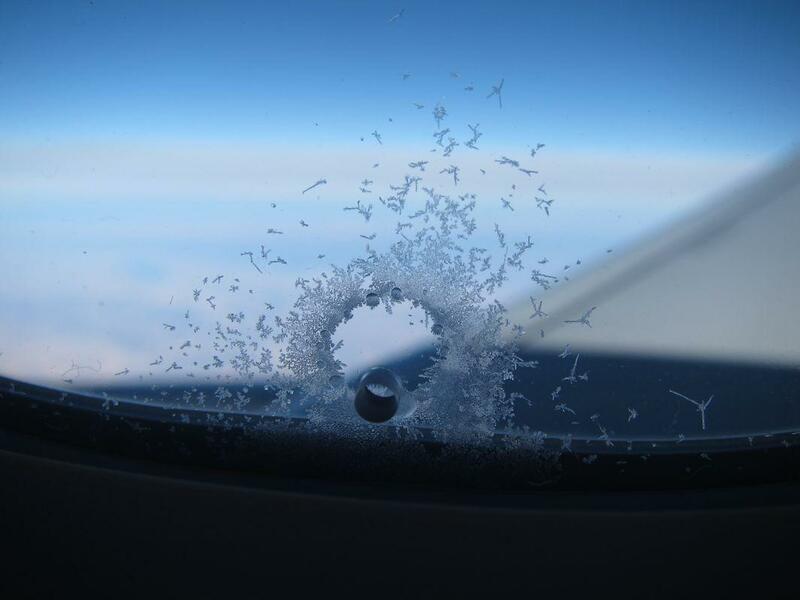 Why is there a small hole in the airplane window, and why does a ring of ice crystals form? It’s time for another sky-high edition of What’s That Thing, Slate’s column that examines the details of the world that are hiding in plain (or plane) sight. Send ideas for future columns, along with photos if possible, to mark@skyfaring.com. My friends laugh at me when I ask for a window seat. You’re an airline pilot, they say. You have the window seat all the time. True enough. But the cockpit, well, that’s work. As a passenger I’m actually free to enjoy the experience—to listen to music or a long-postponed podcast while gazing out at the world below, to remember that it’s still a wonder to look down, not up, at clouds. The window seat is like the best table in a café on a busy street, except that instead of people-watching, entire cities, oceans, and mountain ranges parade past. Still, every once in a while something interferes with that view. Maybe it’s the forehead smudges left by your seat’s previous occupant. Or the little hole that appears in the lower portion of a typical airliner window. Hole in the window? The little one, near the bottom, that you perhaps only notice when a hollowed-out snowflake of frost forms near it. This tiny hole is called a breather hole or a bleed hole, and it serves an important safety function. 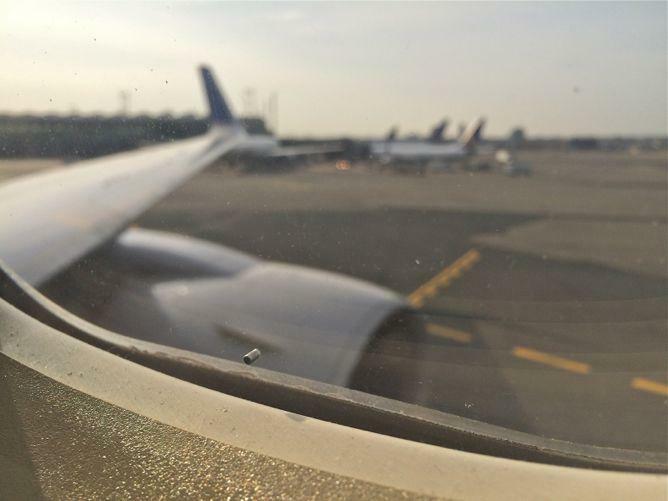 If you look closely at a typical passenger cabin window, you’ll see three panes, typically made of acrylic materials. The purpose of the innermost pane—sometimes called the scratch pane, but I like to call it the smudge pane—is merely to protect the next one. The middle pane (with the breather hole in it) and the outer pane are more important. Generally speaking, as an aircraft climbs, the air pressure drops in both the cabin and the outside air—but it drops much more outside, as the aircraft’s pressurization system keeps the cabin pressure at a comfortable and safe level. This means that the pressure inside the aircraft during flight is typically much greater than the pressure outside. In the extraordinarily unlikely event that the outer pane fails, the middle pane takes over. And yes, in that case, there would be a small leak of air through the breather hole—but nothing the aircraft’s pressurization system couldn’t easily cope with. 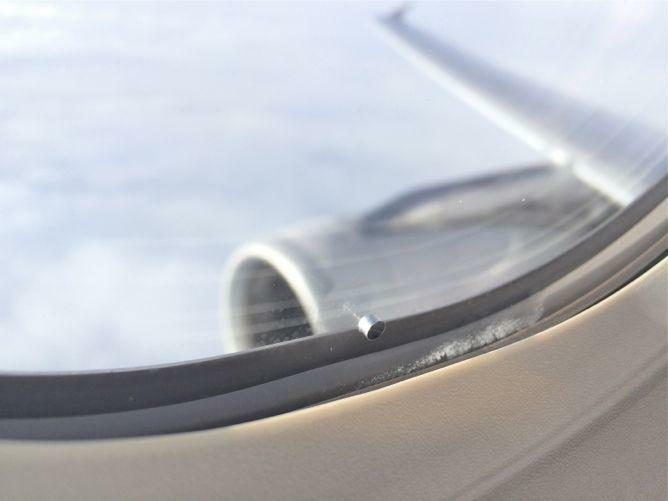 Bret Jensen, an aerospace engineering guru at Boeing Commercial Airplanes, told me about a separate but related function of the hole: to release moisture from the air gap and stop (most) fog or frost from forming on the window. So when you’re looking out at the clouds and planetary wonders crossing below you, take a moment to give thanks for the breather hole. Spy something curious while you’re staring out the airplane window at the turning world below? Or anywhere else? Airmail a pic and description to mark@skyfaring.com.